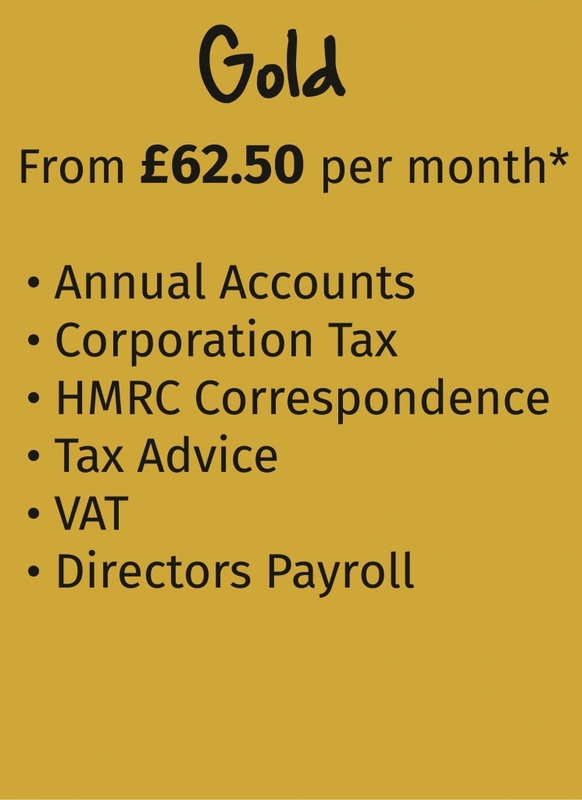 Our Gold Package is one of our more popular accountancy packages, covering a great deal of your accountancy needs . We offer a fixed monthly fee of £62.50 + VAT so you know exactly where you are and you can budget effectively. Access to the The Right Accountants Business Partnership Scheme; a scheme we have created to provide our customers with exclusive nationwide deals on commercial insurance, office stationery etc. * 2 year guaranteed deal available on this package.